Hi today we will look to a system management automation tool named Ansible. There is a lot of tool in this category but Ansible is different with being agent-less. Yes you read it right it is client-less and developed in python language. Ansible architecture is very simple which made by a manager which must be Linux and the systems managed which may be Linux, BSD or Windows. There are some differences in windows but it is not a problem after setup Ansible. All systems managed by the same way. In Linux and BSD connection made over ssh but in windows RMI protocol. This is enough lets start typing commands. And then create ssh-id if it doesn’t exist. We can skip key generation questions with enter without giving any value. 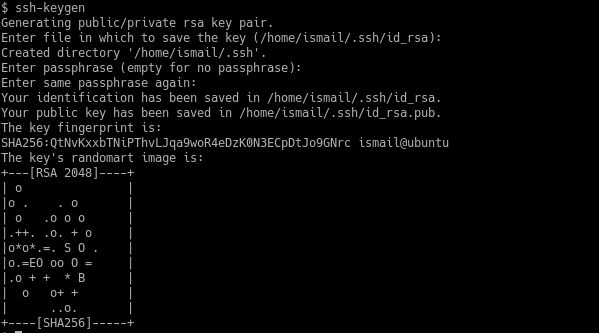 Than we will install the keys to the remote managed system with ssh-id-copy command. 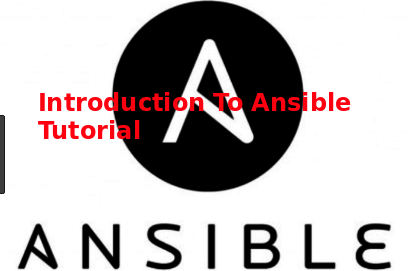 Now we are ready to use ansible in simple way. Ansible uses its hosts file which is named as Inventory to get information about remote systems. We can group hosts in this inventory file. Now we can use ansible. We use ping module with -m option ans by specifying group name. We can use all for all inventory hosts. We can specify pure commands to run on remote system with -a option. Ad Hoc command provides us the ability to run a command on the remote systems. 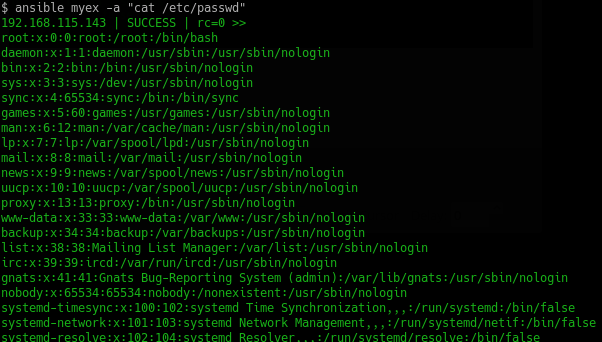 In this example we will print the passwd file with cat command. $ ansible myex -a "cat /etc/passwd"
If we need to debug Ansible work we can use -vvv flags where count of v decides the debug level. As you can see below connection username and remote module is specified and than ssh connection is made with specified parameters if you have a problem with ssh connection you can find detailed info about the problem here. There is Ansible verbs EXEC, PUT etc. We can use sudo privileges on remote system with --sudo and specify sudo user with –sudo-user .